The National Institute for Health and Care Excellence (NICE), in its final draft guidance issued this week, has recommended ixekizumab, an antibody that inhibits interleukin-17A, as an option for treating adults with severe plaque psoriasis that doesn’t respond to standard therapies. Children and young people can have a wide range of life limiting conditions and may sometimes live with such conditions for many years. This guideline recommends that end of life care be managed as a long term process that begins at the time of diagnosis of a life limiting condition and entails planning for the future. Sometimes it may begin before the child’s birth. It is part of the overall care of the child or young person and runs in parallel with other active treatments for the underlying condition itself. Finally, it includes those aspects related to the care of the dying. The number of people with many long-term health conditions is set to rise and physicians need to discuss both the benefits and any adverse effects of treatments with patients. Aimed at healthcare professionals, GPs and physicians, a new NICE guideline (Multimorbidity: clinical assessment and management, NG56) sets out ways to put patients with complex health issues at the heart of decisions about their care, including how to decide between different medicines and treatments. It should also help clinicians to work with their patients to deliver person centred care suited to their needs. Two drugs currently provided under the Cancer Drugs Fund (CDF) should cease to be available because they are not cost effective, the National Institute for Health and Care Excellence (NICE) has concluded. Everolimus for breast cancer (Afinitor, Novartis) and ibrutinib for mantle cell lymphoma (Imbruvica, Janssen) do not meet the grade, says NICE in draft guidance now open for consultation. NICE have advised that they are aware of an issue with citation fields in Health Business Elite (HBE) database not showing the journal name. The issue is logged with the NICE developer team for investigation. Please accept our apologies for the inconvenience caused during this time. 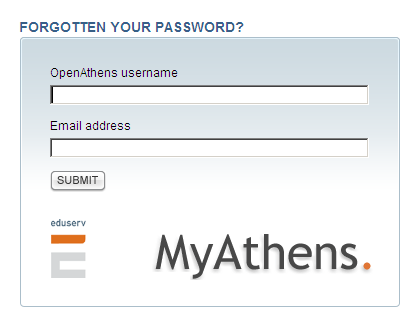 There is currently a problem with logging into OpenAthens Administration accounts, which means that we are temporarily unable to help people if they have Athens queries or are having problems with their personal accounts. This is a national problem that is being looked into as a matter of urgency and we will update people as soon as more information is available. Thank you for your patience.